Birth date and place c. 1822 St Finbars, Cork, Cork, Ireland. England, Wales & Scotland Barracks, Aston, Birmingham, Warwickshire, England (1851). See also Muster below (1851). Physical Description Height: 5 ft. 9¼ ins. Complexion: fresh. Eyes: blue. Hair: light brown. 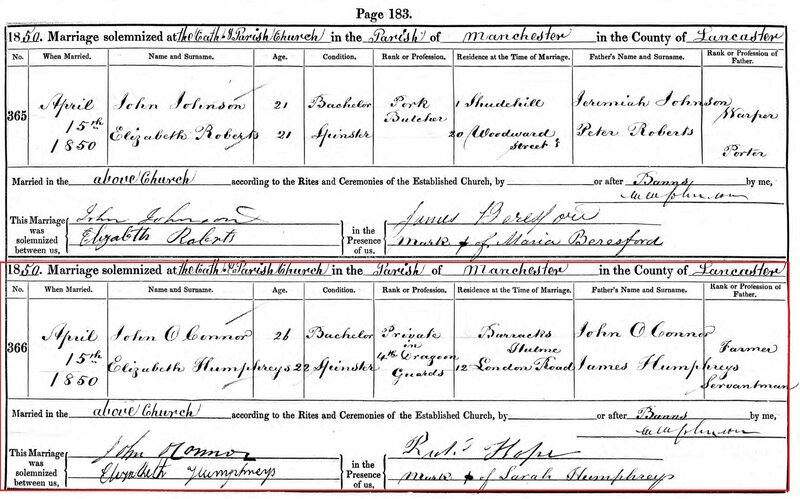 Marriage date and place 15 Apr 1850 Cathedral Parish Church, Manchester, Lancashire (1851). Children John James* b. 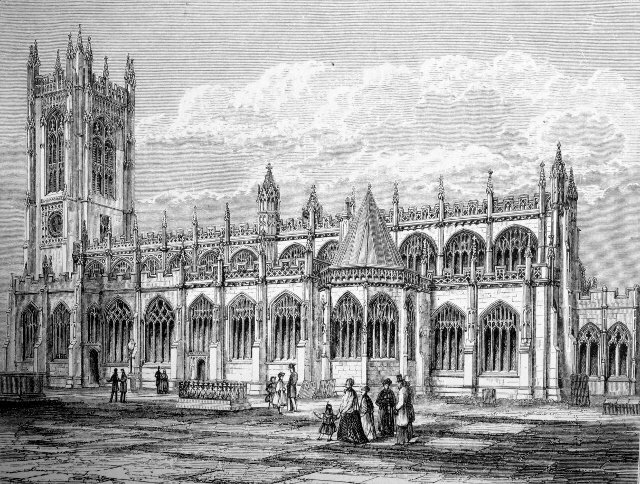 1849, Manchester, Lancashire. Frances Mary* b. 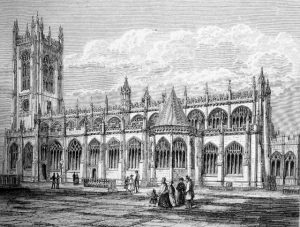 1851 Limerick, Ireland. Charles b. 1858 (d.1859), Fremantle, Western Australia. Mary Ann b. 1860, Perth, Western Australia. 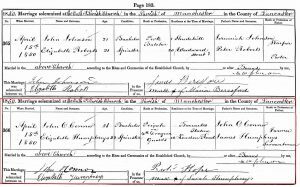 * John James and Frances Mary were baptised at St Michael’s, Limerick on the same day: 22 Sep 1851. Death date and place 4 Jul 1860 Fremantle, Western Australia. Burial date and place July 1860 Skinner Street Cemetery, Fremantle (assumed). 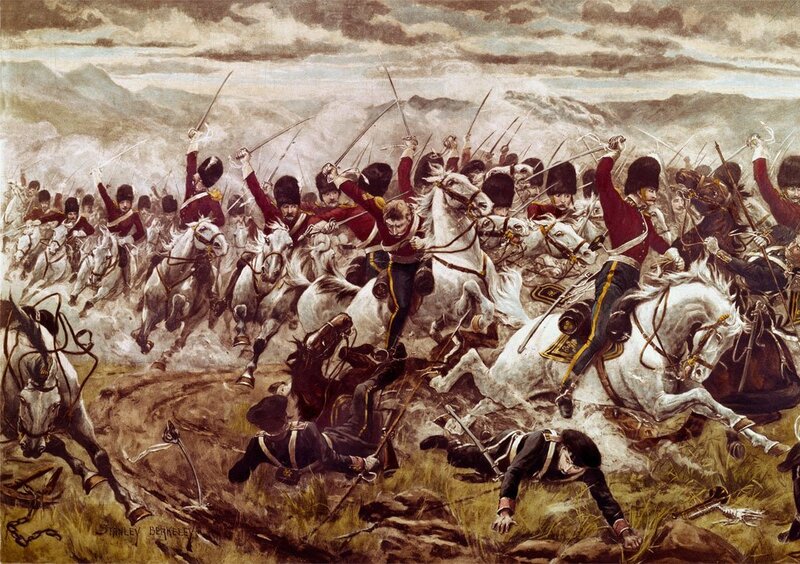 Regiment(s) 4th (Royal Irish) Dragoon Guards. Regiment No. and Rank #873 Private. Attestation date and place 7 Apr 1846 Cork, Cork. Service/Campaigns Turkey & Crimea 2 years 1 month. 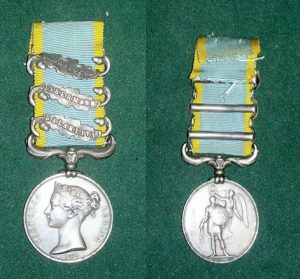 Medals, Clasps and Badges Crimea War Medal clasps Balaklava, Inkermann, Sebastopol. Turkish Crimea Medal. Casualty/Medical Ruptured on the right side since he entered the service – occasioned when on mounted duty in the Crimea. Discharge date and place 6 Jan 1857 Chatham. Length of Service 10 years 275 days. Post Discharge Pension District Unknown. Pension Amount 8d. per diem for three years. Eight hundred heavy cavalry charged 3,000 Russian light horsemen and drove them from the field at Balaclava 25 Oct 1854. Dutton:205 proposes that John O’Connor #873 was part of this Charge of the Heavy Brigade. Medal in the possession of J B Militaria, Swanbourne, Western Australia (John & David Burridge) as at June 2015.